body weight classification (e.g. normal, overweight, etc). Accuracy: 5 %. The accuracy is pretty good and it compares well to professional health care institute equipment results. 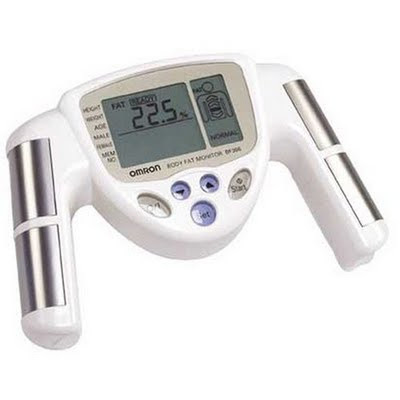 A friend of mine measured her body fat content in clinics using a high class equipment, her body fat was 40.3 %. This hand held measuring device indicated 41%, which compared very well with the clinics value. So, I would say that its body fat content value can be relied upon with confidence.